at the Colorado Railroad Museum. Every ticket holder gets two drink tokens for water, beer of soft drink. 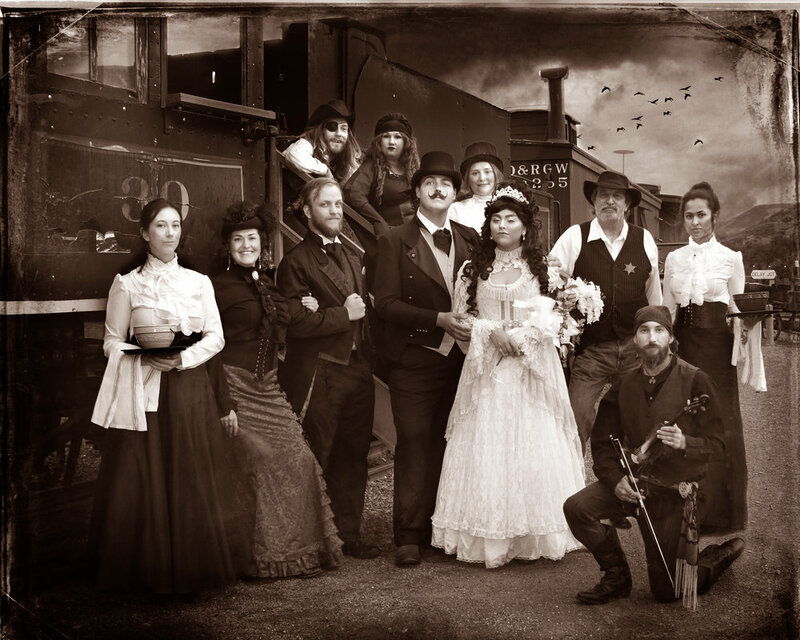 You are cordially invited to toast the joyful union of “Lucky” James Dandy, silver tycoon to the famous Italian opera star, Elenora Serenelli, at the Golden Railway Station, in the year 1880. Before they ride off into the sunset in their private railway car, a crowd gathers to celebrate! But marital bliss may have a tiny hiccup when dangerous liaisons, thievery and murder are afoot! This is not a seated show, you will be moving around. You will be walking up and down stairs and uneven grassy surfaces so please wear practical shoes or boots. Unlike traditional theatrical performances, you will have the choice of deciding which characters to "follow" and scenes to observe, so your experience can be different from someone else at the same show! 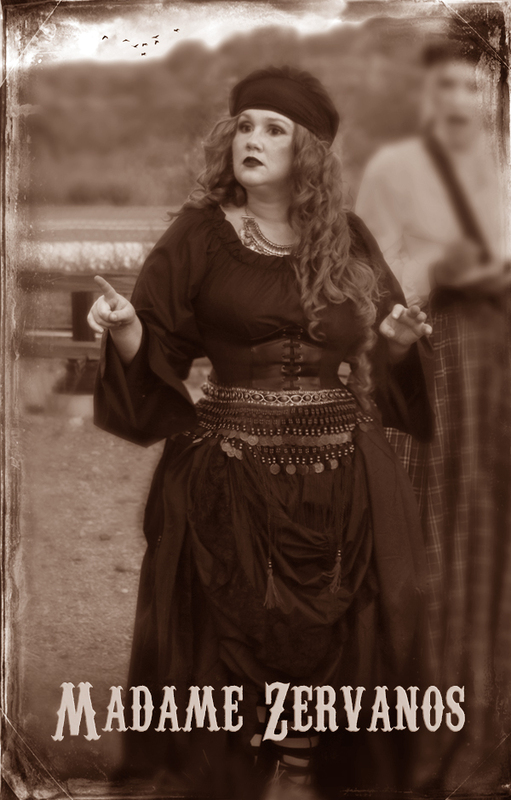 We highly recommend dressing in the time period of the wild west, or fantasy Steam Punk or maybe West World! (sorry, no weapons are allowed - its a wedding after all!) Not sure what to wear? Look HERE. You can also opt to participate in the performance in a cameo role (VIP Package). 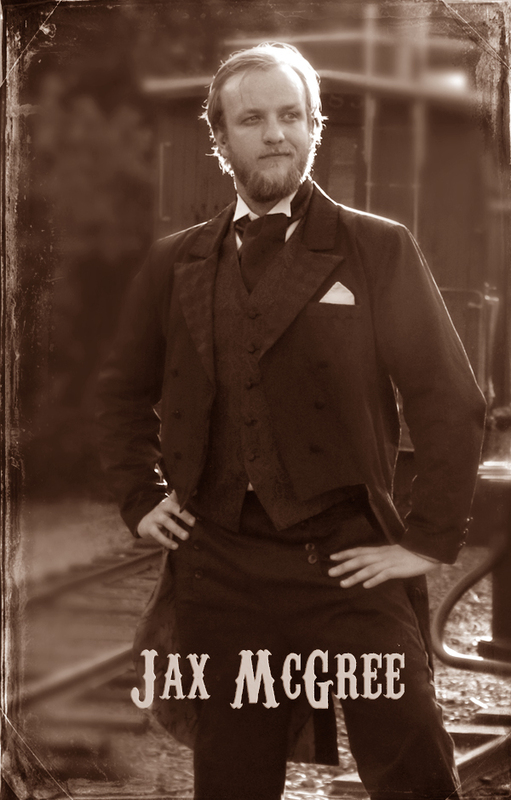 Each ticket holder will receive a name and occupation appropriate to 1880's Golden, Colorado. Some of those names may be called upon as a witness or a SUSPECT! General Admission Ticket: This will give you admission into the performance plus 2 drink tokens good for water, soft drink or beer. VIP PACKAGE: Enhance your Murder Mystery experience! 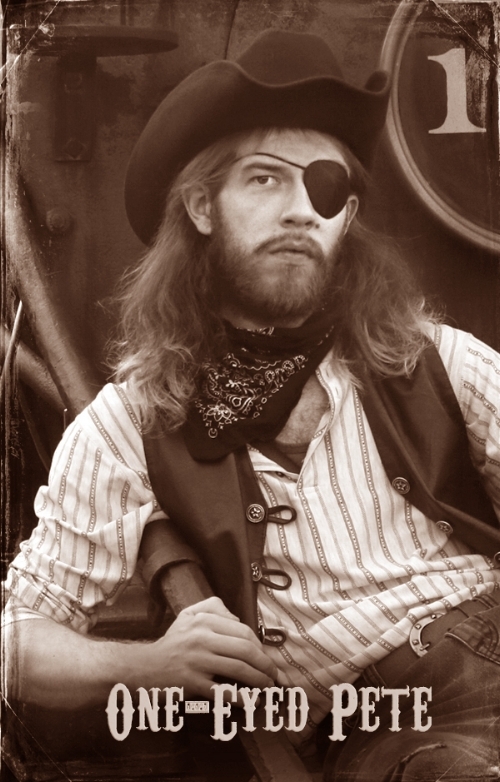 This optional package allows you to get yourself or a member of your party involved in the show with a cameo role without their advance knowledge. It's perfect for birthdays, anniversaries, graduations, you name it! You will receive a separate email with details and instructions for your VIP Package after purchase. There may be a food truck at some performances. Look HERE to see if there is a food truck on the night of your performance. 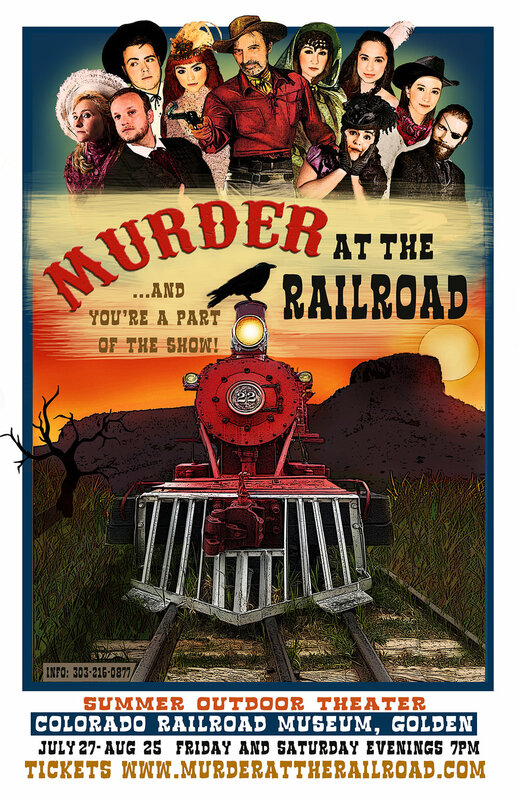 SOUVENIR PHOTO: Planning on dressing up and even if you're not - You'll want our professional photographer to capture an official "Murder at the Railroad" 8x10 commemorative photo of yourself or group at the event. We ask you arrive 15 minutes ahead of the gates being open to take your photo AND you'll be the first allowed into the performance space (and the beer line!). $20 per 8x10 print (1 - 10 people in photo). $50 for the digital file. $5.00 more at the event.